"The best turners are ivory turners, because the materials they use is too costly to make mistakes. They have to get it right first time and every time - and of course they do." This is a quote from Cecil Jordan, frequently repeated by Bill Jones. Bill Jones described himself as an 'ivory and hardwood turner' and everybody who knew him knew that he lived up to Cecil Jordan's statement: Bill got it right, first time and every time. 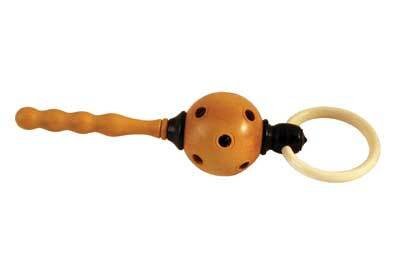 Bill Jones was a fifth generation 'bone grubber' as bone and ivory turners used to be called. Bill was born in 1920 in Stoke Newington, London. Both his grandfather (Lewis Jones, 1850-1914) and his father (Bertram Jones, 1885-1969) were well known turners. Bertram Jones established his own workshop making anything that was required, but he always had a liking for making chess sets. By the 1950s he worked for British chess dealer and author AE Mackett-Beeson. Through him many of his sets were sold through Macy's in New York. Bill left school at the early age of 13. Bertram, his father had told him to skip the last term at school as "They probably wouldn't miss him." So he started turning in Bertram's workshop in Dalston, Hackney and stayed with him learning the trade, turning ivory, hardwoods and other natural materials. It was here that he learned what later became practically synonymous with his name; the hand chasing of threads. You can imagine young Bill working with Bertram standing behind him and guiding every move he made. Bill always referred to his father by his name: "As Bertram said it" or "as Bertram would say" became catchphrases, and he very often used them in his articles and in conversation. He married Olive in 1941 and soon after that in June 1941 he joined the RAF and served as an engine fitter with 116 Squadron. This meant a five-year separation from Olive, which he remembered in his Notes from the Turning Shop article 72, (January 1999) written after the death of Olive. He wrote about the favourite ladies in his life: Olive and Ginette. (their daughter, Ginette, who was born in 1958.) "My wife Olive and I were together for 60 years, except for some time during the war. She died on 27 December and I am glad to say she never awoke to learn the result of the exploratory operation." Bill and Olive were inseparable: "I relied on Olive for almost everything, including the critique of my work and cutting what's left of my hair," he said. After a few moves, to the Cotswold village of Badsey, to Lower Clapton Road in London, to De Beavoir Road near his family home in Stoke Newington, he settled in Canvey Island in Essex where he lived until his death on 31 July 2011. Over the years Bill wrote many articles for magazines, published a couple of books, taught and demonstrated and inspired generations of budding turners. Bill is a life member of the Association of Woodturners of Great Britain (AWGB) and a patron of the Society of Ornamental Turners (SOT). He was also patron of the Sandon Woodturners and honorary life member of Fairlop Woodturners. People who saw him demonstrating marvelled at his technique and the finish of his work. People who new him personally were amazed by his manners, his humility and his humble nature. His articles in Woodturning magazine, Notes from the Turning Shop and The Complete Turner both, in his inimitable style, informed and entertained readers for many years. Bill was a member of The Society for Italic Handwriting and for a group of selected readers; the articles were posted in his own handwriting shortly after publication. I was fortunate enough to be on this list. The stapled pages were usually accompanied by a yellow or pink Post-It note, containing some personal message or comments about the editor of the magazine for changing his text, which he considered absolutely taboo. He not only had lovely handwriting, he was also very good at drawing 'pen and wash' pictures to a very high standard. 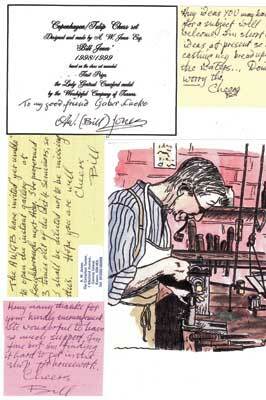 An example of his work depicting 'Bertram at the Lathe' can be seen in the image gallery. Making prestigious chess sets ran in the family. Just as Bertram had produced chess sets of the highest standard, Bill's chess sets to the Copenhagen/Tulip design were very highly esteemed and won several prizes. He was a very prolific turner. Just like Bertram, he could produce a 75m (3in) tall knight in about an hour. He produced countless boxwood (Buxus sempervirens) boxes with ivory decorations and screw on lids. He also made many ivory, scalloped, screw top boxes with the scalloping lining up perfectly when the lid was screwed on. His baby rattles were admired and copied, but very seldom equalled. The one in the image gallery was one of the attempts he found good enough to present to Lady Di, when William was born. In December 1998 Olive died. She was admitted into hospital to put right a minor problem. Sadly she never came home again. After a few days' sedation she passed away. Bill wrote: "The good news is that she lived for 81 happy years and will be back in the near future." I do not believe that Bill ever managed to overcome the loss of Olive. The prolific magician who made clubs gasp drawing circles in the air with his hand thread chaser until a perfect fit was produced, slowed down. I tried to encourage him, suggesting projects he might like to make; he responded on a pink note: "Many thanks for your kindly encouragement. It is wonderful to have so much support. I am fine but I am finding it hard to get into the shop for housework. Cheers, Bill." And then he had his accident during one of his demos. He was hurt, both in body and in mind. He lost his confidence and never wanted to turn again. It took a long time before he came to a Fairlop club night, as a spectator. At 2.00pm on the day he telephoned he said to me: "If you have a block of wood tonight, I shall turn it." And he did. That was the last time that I saw him on the lathe; he was 89 years old. I asked Bill to accept a small order for a screw lidded box. He agreed and a little while later he told me that the base was ready. I did not dare to hope that he would complete the box. To celebrate his 90th birthday we went out for lunch to his favourite pub in Basildon. When we sat down, he put his hand in his pocket and out came not one, but two, lidded boxes - the last boxes he ever turned. "One for Patricia and one for you," he said. I saw him again at the Alexander Palace show when the Worshipful Company of Turners put a small display together in his honour. He loved it and was deeply touched. He never took anything for granted and in spite of all the achievements, accolades and recognition Bill Jones managed to remain Bill, 'the ivory turner', as Bertram would have said it. Bill Jones, who left school when he was 13 years old, was a master of his trade, wrote books, articles, made his own illustrations, drew and painted pictures, and above all else was a very decent human being and a good friend. We shall miss him. The passing of Bill Jones, on 31 July this year, brings to an end the era of the 'ivory turner'. Bill was probably the last of this old school of skilled hand craftsmen, his career ending simultaneously with the curtailment of the ivory trade. Bill started turning at the age of 14, following in the footsteps of his father, grandfather and two generations before them. He worked as a turner for the whole of his life, apart from a five-year break during the Second World War, when he served as an engine fitter in the R.A.F., ending his service as a Drill Sergeant (can you imagine Bill shouting! - no, he was probably very polite - a bit like Sergeant Wilson in Dad's Army). Bill started his own business in 1947 and didn't cease turning until shortly before his death. In 1948 he joined the recently formed Society of Ornamental Turners (SOT) and this revolutionised Bill's approach to his craft. His hand skills were soon supplemented by the mechanical skills of the ornamental turner and his acquisition of a Holtzapffel lathe transformed his work. He produced some truly exquisite items; notably his fine ivory chessmen, winning him many prizes in the competitions of the Society and of the Worshipful Company of Turners. In 1983 Bill was made a Freeman Prizeman of the Company and in 2001 he was made a life member of the Association of Woodturners of Great Britain (AWGB). Bill was also a member of the Register of Professional Turners (RPT). Bill was famous for his writings and his teaching. He kept a daily journal for more than 50 years and this provided him with the material for a long-running series of articles that he wrote for the Bulletin of the Society, for which he was made an Honorary Life Member in 1986. 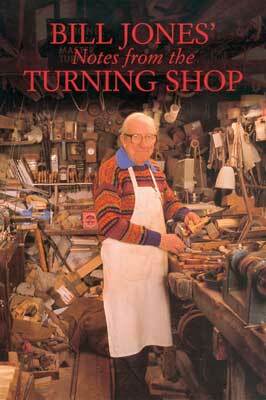 He also wrote many articles for Woodturning magazine and his articles were so well received that they were published in two books: Notes from the Turning Shop (1996) and Further Notes from the Turning Shop (1997). As a teacher, Bill was superb; just like your favourite uncle, he would gently show how to 'get it right'; and all the time telling anecdotes about his life and experiences, particularly those involving his old Dad, Bertram. His speciality was hand-chased screw threads, and he could do them almost without looking. There to turn the hours away, with deft and cunning strokes of keen-edged tool; a rapier point whose foes are manifold. Some thrusting forth strong shields of stubborn opposition, some meeting blade with un-disguised delight; as though a premonition of their final shape, inspired them with impatient zest to be transformed. For live materials oft are sentient things; their very forms and textures are their own true voice; imparting knowledge to the keen, receptive ear of craftsmen with perception that's inborn. Who dare scorn the product of that esoteric band? Who crows, asmirk at honest bent of one who is at least sincere, seeking nothing but the rare delight of fashioning a trinket of his own design? Not the turner, for he alone has trod the tortuous uphill path, from fumbling to perfection. He knows too well that things which are to him symmetrical and true in all detail, to others strike an inharmonious chord, and therefore holds his peace. Strive on then, turner, and make your tools obey your will. Be of good heart, for to the empathetic eye, the unpretentious trifle YOU consider good, however overshadowed by a more ambitious thing, will not, on that account, be rendered bad. He was a gentle soul, with a quiet demeanour and a sparkle in his eye. He was always fun to be with and he was one of my favourite uncles. 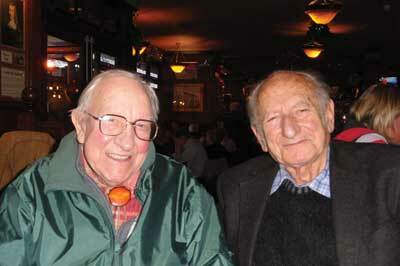 I was saddened when my son Stuart rang from America, to ask if I had heard the news about Bill Jones passing away. Stuart knew that I had a very close friendship with Bill; in fact we had spent much time together, both travelling, sharing hotel rooms, demonstrating both at home and abroad. As we formed our friendship, I came to realise what a warm and friendly man he was, who cared about people as individuals. As I was writing this, I realised that Bill also had a unique understanding of the ivory side of the trade, and the ability to produce outstanding pieces of work, that has gone forever. I will often, as so many others will, recall Bill and see his friendly smile, and think back to the happy memories we shared together. I regarded Bill as being the best thread chaser I had ever seen. Whilst I could thread chase, he took me under his wing and showed me a few tricks of the trade he had learnt over the years, it was then it hit me; I only thought I could thread chase. To a great man, may your memory live on.